As the song goes, “Be kind to our four-legged friends,” but what about our siblings, other relatives, neighbors, friends, or mere acquaintances? It is said that in Tibet, every village, valley, and clan had its own red-and-gold robed Lama to act as priest, healer, teacher and wise man. And also every village had its day-lok, or returner from the beyond, the bardo, land of the dead, or intermediate state. These returners understood reality and often came back with hair-raising tales of the “no-good-niks” who had done evil things on this earth, and as a result, were undergoing pain and travails in the world to come. Occasionally the day-lok also reported on the rewards of the honest and generous ones who would reap excellent rewards from their good karma (actions and intentions) in the next life. However, the fire-and-brimstone-like oral day-lok literature is mostly comprised of vivid cautionary tales meant to inspire common folks to follow unfailingly the Five Buddhist Moral Precepts of: no killing, stealing, lying, intoxicants, or sexual misconduct — and to live a good, honest, productive, and nonviolent life. My late friend, the lama Chakdud Tulku used to tell stories about his mother Ama-la, who was a day-lok. A humble, pious, shy and quiet woman, she devoted herself daily to caring for her family and neighbors, and especially her reincarnate lama son (tulku) who was the apple of her eye. Never did she raise her voice or gossip and criticize anyone. Unlearned in books, she was skilled in the arts and crafts of traditional Tibetan home and family life. One day a terrible epidemic spread among the villagers, and carried Ama-la off along with some of her neighbors. She breathed her last breath with the Dalai Lama’s mantra-prayer of compassion and loving kindness on her lips, wishing her family and friends well “Om Mani Pedme Hung!” — the jeweled spiritual light is in the lotus of each of us! Whispering the mantra ever more gently, she breathed her last and then, relaxing back into herself, with the final seed-syllable, “Hung,” she was gone. A family lama was called to oversee her final arrangements, pray for her and strive to ensure a higher rebirth. How amazed was he to find that she woke up the next morning and seemed to be alive and cured! The entire family rejoiced. But Ama-la was a transformed person, a day-lok, having returned from the land of the dead with tales to tell. Ama-la told whoever would listen that the obnoxious, drunken, old wife-beating Uncle Dorje’s ongoing spiritual being had become stuck beneath a rocky road and was constantly being run over by trucks, and that the spiteful, acid-tongued old Grandmother Cheutso was reborn as a spider in the gloomy, dank local police station basement. Moreover, she’d seen the infamous thief Puntsok reborn as a sore-covered snake, armless, legless, and slippery, being beaten with sticks by local villagers. “How could this be? !” asked more than a few of Ama-la’s neighbors. The day-lok patiently explained to them again and again that she herself had voyaged there and had seen reality. She knew beyond a doubt that the basic fundamental and ethical teaching from Buddha concerning the law of karma, cause and effect, was undoubtedly true. Ama-la saw that we each reap the results of our actions. While once she had been a meek and mild-mannered woman who kept in the background as tradition required, Ama-la now spoke with great authority, in a calm and clear, Lama-like teacher-Elder voice. And so Ama-la regaled them with life-valuable parables about what goes around comes around. We shall reap what we have sown, as many of the Good Books say. This is universal truth, timeless yet timely, good for today and good for tomorrow. Be good and do good, and goodness shall follow you like a shadow follows the body. Wreak havoc and evil, and you shall reap the whirlwind, or at least bad karma… and no one wants that! This karmic law, what goes around comes around, can help us to understand that for every action there is a reaction. (Science also now tells us this, too.) Things reproduce in kind and not at random. Just as apple trees come from apple seeds and not from lemon seeds; our good habits and excellent character and destiny arise through repeating good, wholesome and helpful deeds, including our actions of body, speech, and mind. This is why it’s important, as my own late grandmother Anne taught me, to practice what you preach, do what you say you’re going to do, keep your agreements, and walk your talk. Our thoughts and intentions are also very important. If we can train our brains and open our hearts, we become masters rather than victims of circumstances and conditions. 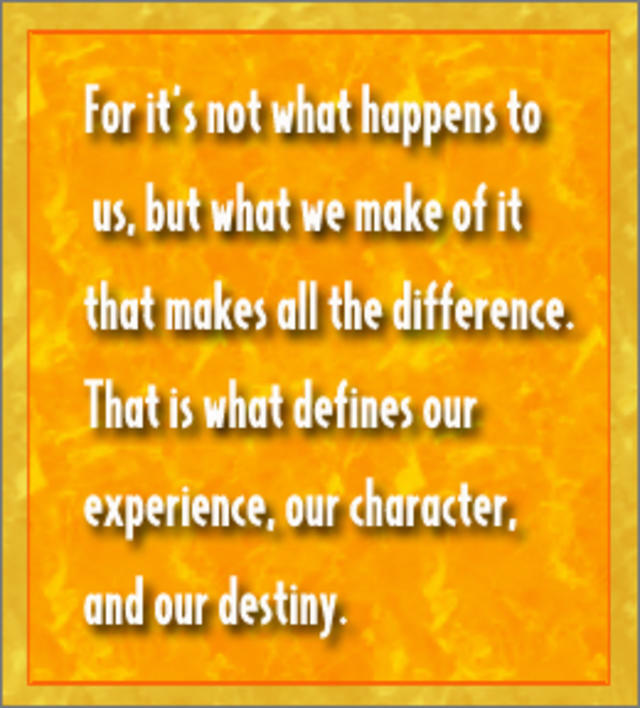 For it’s not what happens to us, but what we make of it that makes all the difference; this is what defines our experience, our character, and our destiny. Understanding this, our inner strength and power, helps us to train ourselves into following the good path in life and to assume the high ground. And we find that we do not to have to travel very far from home in order to find the holy land. It lies within and all around us, always. 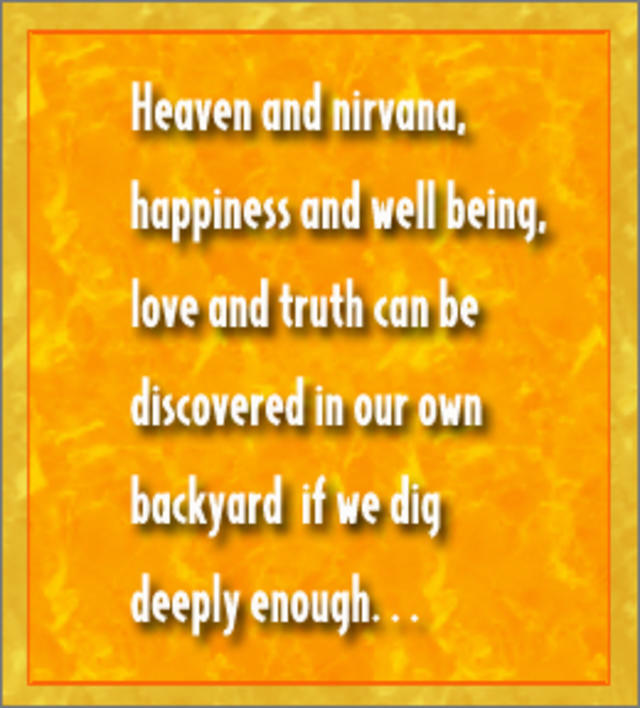 Heaven and nirvana, happiness and well being, love and truth can be discovered in our own backyard if we dig deeply enough into our own heart and mind, and examine our body, soul and spirit to find out who we are, where we come from and how we fit in to this entire marvelous and miraculous universe. We uncover, recover, and discover the god or goddess, the Buddha, the divinity within everyone and everything. As we mature and wise-up, we can graduate to the second rule, which I lovingly call The Diamond Rule: seeing the Buddha, the divine light, the sacred in everyone and everything. Through this path of self-inquiry and discovery, we grow in insightful awareness, discernment, and unselfish love. We reduce selfishness, and increase altruistic compassion and empathy, and positively transform our inner attitudes in order to be an edifying light and a caring steward — rather than a dark cloud and exploiter — in this, our world. “To know the world is knowledge; to know oneself is wisdom,” as the aged Chinese sage Lao Tzu once said. The mature wisdom of self-knowledge is the universal panacea, the universal remedy. So let’s awaken together from the sleep of separateness and illusion, and lighten up while enlightening up. Wisdom and compassion, the Buddhist words for truth and love, are like the two wings of a great bird. As a bird cannot fly with only one wing, we need wisdom to know truth and warmhearted loving compassion to live closely together and get along in this world. The word “religion” implies uniting and bringing together, and should not become a divisive force in this world. Each of the world’s major religions has their own version of the Golden Rule, to “Do unto others as you would have them do unto you.” And there is only one person we can ask to do this: ourselves. Each of us must focus on our own behavior and let it be good. Let’s learn to love and accept ourselves and each other with patience and tolerance before it’s too late to save this, our endangered planet. Each of us is unique and significant, and has our role to play in this great pageant. Everything we do makes a difference, whether large or small. It’s not how large our works, accomplishments, and deeds are, or even if they are recognized, seen, and appreciated. It’s how much love we put into them that makes them meaningful and even great in the long run. Even something as simple as being polite is connected to morality and self-discipline, steadying and easing the societal and family wheels. Politeness requires patient attention, alert presence of mind, and conscientious care for others as well as oneself — all factors of contemplation, meditation, prayer, and awakening. Pay attention, my dear friends. If we are not here now, we won’t be there then. This I can guarantee. Developing present awareness by consistently remembering to integrate mindfulness into our actions, rather than mindlessly sleepwalking through our days, helps bring us all that we want, need and aspire to, a better quality of life for ourselves and all our connections. 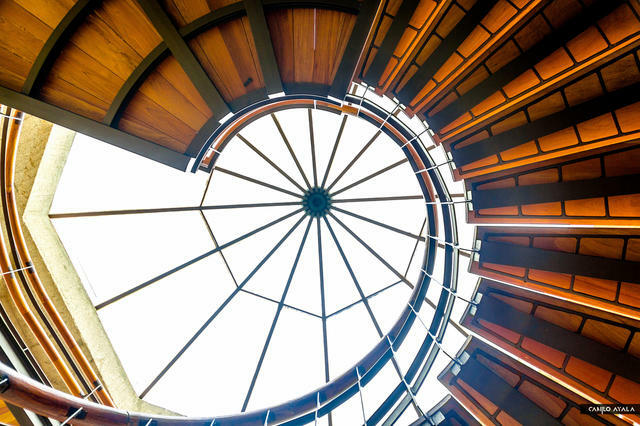 Let us think globally while acting locally, beginning with ourselves and each other, helping, connecting, wishing others well and acting on the best impulses of our better nature. Let us care for our own garden, as well as the entire environment. Pick up litter, recycle garbage, and refrain from waste. Give the gift of your time and good energy to someone in need, or lend an ear, a shoulder, a helping hand. There are a million-and-one ways and places to kneel and kiss the ground, not just in church. This world of ours is like an altar, and all who walk on it are like gods and goddesses, Buddhas and angels. This we can see through awakening to reality, opening our wisdom eye and practicing with simple clarity these two essential teachings for the heart and mind, body and soul. May these jewels, The Golden Rule and The Diamond Rule, adorn each of us and beautify the world. Lama Surya Das is one of the foremost Western Buddhist meditation teachers and scholars. The Dalai Lama affectionately calls him “the American Lama.” He has spent nearly 40 years studying Zen, Vipassana, Yoga, and Tibetan Buddhism with many of the great old masters of Asia, among them some of the Dalai Lama’s own teachers. He is an authorized lama in the Tibetan Buddhist order, a leading spokesperson for Buddhism and contemporary spirituality, a translator, poet, meditation master, chant master, and spiritual activist. Lama Surya Das is the author of the international bestselling Awakening trilogy: Awakening the Buddha Within, Awakening to the Sacred and Awakening the Buddhist Heart, as well as the just released Buddha Standard Time (HarperCollins), and nine other books. In 1991 he established the Dzogchen Centers and Dzogchen Retreats (www.dzogchen.org) and in 1993, with the Dalai Lama, he founded the Western Buddhist Teachers Network and regularly organizes its International Buddhist Teachers’ Conferences. 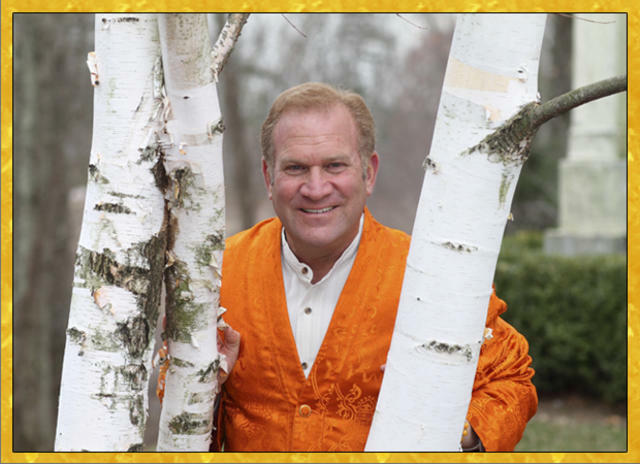 Today, Lama Surya Das teaches and lectures around the world, conducting dozens of meditation retreats and workshops each year. He is a regular contributor at Beliefnet.com, Tricycle magazine, and The Huffington Post. He resides in Concord, Massachusetts. His blog, Ask The Lama, can be found at http://askthelama.com/ and his lecture and retreat schedules are listed at www.surya.org/ He can also be followed on Facebook (Lama Surya Das) and Twitter @LamaSuryaDas.